Create and share your customized cryptocollectible Coins for your chance to win a trip to NYC and other prizes! For professional and aspiring designers, .design is the domain that matches exactly what you do and improves your branding. It looks great on resumes or business cards, and it looks professional when you use .design as part of your email address. The domain is already in use by some of the world’s premier design departments and studios, such as facebook.design and airbnb.design, where those teams share an inside look at their design work. Since there are so many different elds and practices of design, the .design domain links together a diverse, creative community from web and UX design to interior design and lighting design. Change Coin colors, media, patterns and more to showcase your art, your design and your style. The profile link for every Coin you create is optimized for social. Share on Twitter or Instagram with #NFTNYC to enter the contest. Comments and likes help the judges decide who wins! Design your way to NYC! 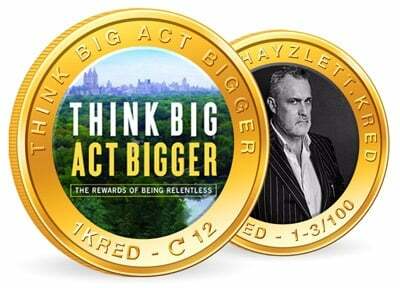 The winner will be invited to join the Kred and .Design teams at the NFT.NYC Cryptocollectibles conference at the PlayStation Theater, Times Square, where they will receive $1,000 and 1,000 CKr! 100 of the same style in a single batch, or maybe 10 batches with 10 different designs? It's your call. 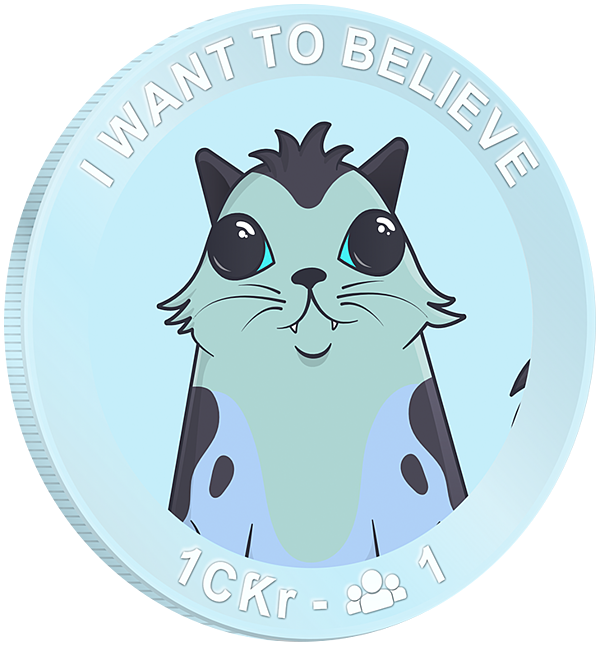 Kred Coins carry value in CƘr, Kred's ERC20 cryptocurrency, which is currently available for purchase at a rate of $1.00 = 1 CƘr. 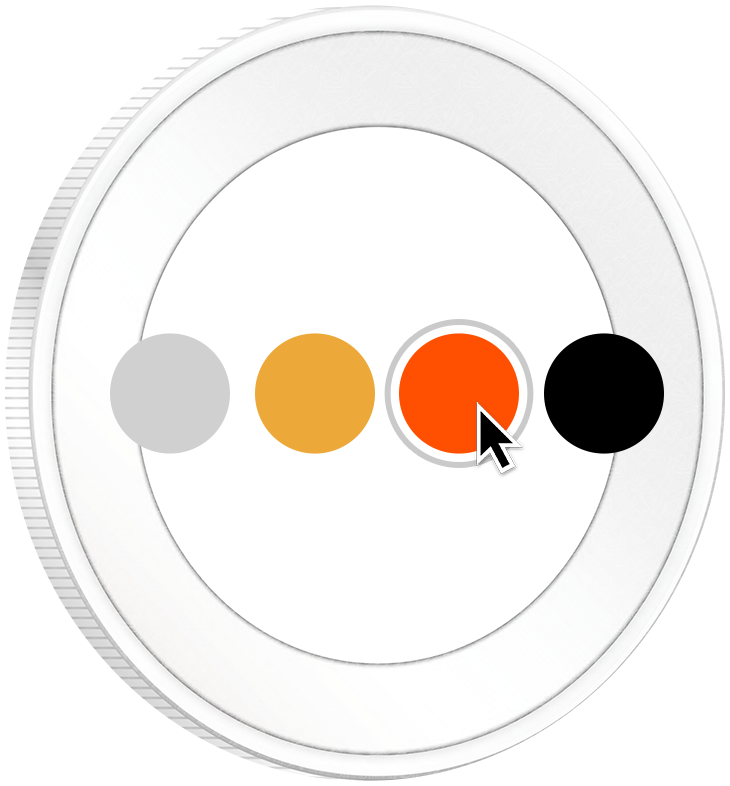 Introductory rates allow all users to create Coins for as low as $0.10 (equivalent in CƘr) each. 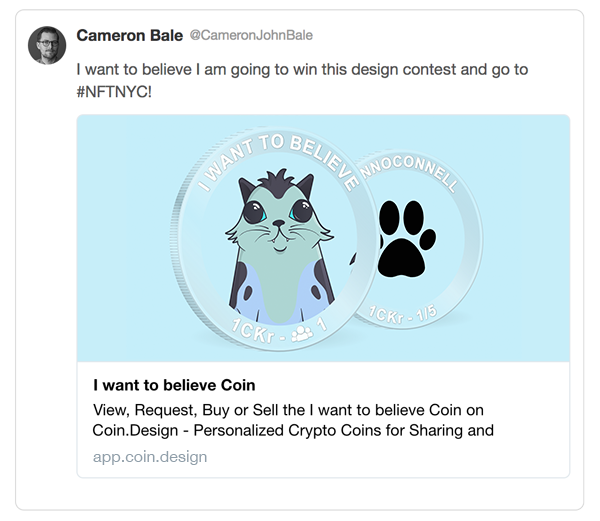 Get notified as soon as you can Coinify your Kitty with Crypto.Ƙred! Submit whatever guidance you like and our Designers will send multiple variations of Coin mockups straight to your inbox.